Every business should have a security system in place, both internally (in the office or in-store) or externally (on the outside of the building) in order to have a properly safe and secure working place and place of business. This system is where staff is constantly watching the cameras, preventing major incidents from taking place. The physical manifestations of proactive surveillance take the form of signs, cameras, locks and passwords and act as deterrents to criminals. The main benefit of this system is that the security staff is alerted immediately to any irregular or criminal behavior, and is able to take action on the spot. Re-active surveillance occurs when proactive surveillance does not take place, that is, when a security guard or staff member is not able to react instantly to seeing an incident take place. In this case, the footage is used only for evidence should the incident be taken to court after being shown to the police. These systems also do not rely on live monitoring, which can make them less expensive as you will not have to hire a security team to man the cameras. Should I be proactive or reactive? When deciding what route to take with your security system, it is important to consider the factors of both proactive and reactive surveillance. While proactive surveillance may cost you more money (by way of security personnel monitoring the cameras) reactive surveillance is only effective when you require legal action or proof that a crime has been committed. Proactive surveillance allows you to predict what could happen – in a store, staff watching the monitors are able to radio to those on the floor information, such as a suspicious person in a specific aisle or whether there has been a breach of the exterior security measures – whereas reactive surveillance allows you to review past events and react by implementing better security measures. 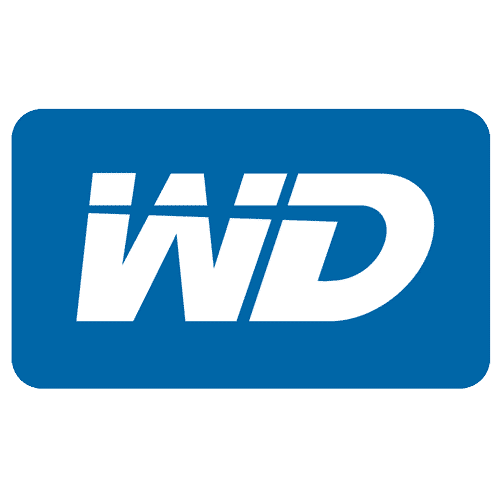 Reactive surveillance relies highly on video definition, camera coverage and storage space – if these three requirements are not meant, it is a redundant system that supplies very little help. Proactive security allows the use of lower-definition cameras, as action is taken immediately and the footage does not usually have to stand up in a court of law or to the police – you have taken action and prevented a crime from happening. With both approaches to security, you need to ensure that your security staff has a strict set of guidelines in how to manage either a proactive or reactive situation, as this will ensure the correct actions to take. A reactive system cannot prevent incidents from taking place, it can only allow for the reaction to these incidents, whereas proactive system often allow for the pre-emptive action of security guards, as they have been alerted to a possible incident by way of the constant monitoring of the security system. A vulnerability assessment on your current security system will help you to assess the positives and negatives of the system, and decide where you need to make changes and updates. This should be done by a security professional who will then consider the probability of an incident occurring and will make recommendations to address the vulnerabilities in your system and in the building itself. Once you have done the vulnerability assessment, it is vital to compare the costs and benefits of the assessment results and recommendations. Determine whether the costs and benefits are feasible, affordable and practical, and if they meet these requirements then you will be able to implement them. Once you have put a system in place, it is vital to test that the system actually works, and continues to work with regular tests and upgrades. The key to a successful security system is to have the appropriate mix of both physical and digital measure, which are combined to take action as soon as is needed. Having layers in your security system will allow you to have a more in-depth security procedure, and will ensure the complete security of your business, and your employees. Looking for CCTV Companies in Cape Town? Theft is a common form of crime, and businesses are affected by both internal and external theft. A quality surveillance system installed by one of the CCTV companies in Cape Town will ensure that your property is fully surveyed, both inside and outside your offices. This will have a twofold effect. Firstly, if a theft does occur, the suspect can be more easily identified, and your losses may be recuperated. Secondly, the mere presence of a CCTV system acts as a deterrent to most thieves, especially if they are your own employees. Modern CCTV systems are connected to the internet, and there are surveillance packages that come with integrated software which allows access to the cameras through a mobile device. This means that you will always be up to date with what’s going on in the office, on the factory floor, or in your own home. For businesses, a CCTV camera system will reduce employee downtime, increase productivity and increase customer service quality. It may become necessary to create private areas within your business, areas in which most employees are not allowed. To enforce the restricted access placed on these areas, the most cost effective option is a CCTV system. Otherwise, you’d have to go with security guards, which is a much more expensive and long term investment. With a CCTV system, you are able to gather vast amounts of data on your own operations. In fact, there are systems that have data gathering and analysis software as a feature. This allows you to, for example, improve product placement within your store. If you have a more profitable product, you can place it in a busier aisle, in the hopes of increasing sales and profit. A CCTV system will also help you keep an eye on the safety of your employees when they’re alone on the factory floor. If an accident happens, you will be able to notice it more quickly, and direct staff to the problem area immediately. The law can often times be used against a business or home owner for personal gain. There are individuals who make false claims and take businesses or private individuals to court in the hopes of winning a cash settlement. This jarring experience can be both financially and emotionally draining. With a CCTV system in place however, any such attempt is nipped in the bud, or even turned on the accuser. Are CCTV systems hard to install? CCTV systems come in all shapes and sizes, with numerous features and customisable components. For example, you have IP cameras, cameras with infrared capabilities, weather resistant cameras, wireless and wired systems, wide and narrow lenses, and so on. Ultimately, your compound will define your CCTV system, which in turn will define the difficulty and cost of the installation. For a large factory, you will be interested in multiple, wide lensed cameras, able to survey the factory floor and the outside of the compound. On the other hand, your backyard, will require one, maybe two, narrow lensed cameras, possibly weather resistant and equipped with IR capabilities. 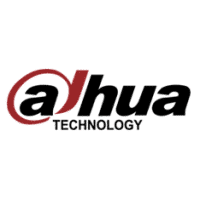 Likewise, for your office, you may be interested in IP cameras that have the capability to be monitored through your smartphone. Can I install my own CCTV system? There are CCTV kits available for sale, but they are obviously best suited for homes and small offices. Any large system will require professional installation, and certain pieces of equipment cannot be found in CCTV kits. If you’d like to find out more about your options, contact Iron Curtain Security today. We are one of the leading CCTV companies in Cape Town, offering a wide variety of security products and installation services. Your security is our number one priority. 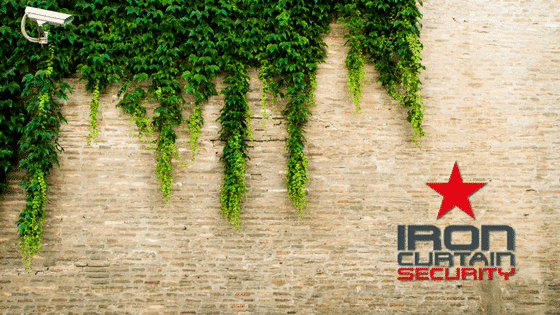 https://ironcurtainsecurity.co.za/wp-content/uploads/2018/02/CCTV-Cape-Town.jpg 630 1200 Iron Curtain Security https://ironcurtainsecurity.co.za/wp-content/uploads/2017/08/header_logo.png Iron Curtain Security2018-02-12 14:19:192018-02-12 14:19:59Looking for CCTV Companies in Cape Town? From a layman’s point of view, a CCTV system is the greatest security invention of the modern world. It shows you who is coming into your house so you can keep them out. If they do manage to sneak past your security measures, you can easily identify them to the police. Unfortunately, the reality is a little different, and any crime show can tell you. Even if the criminals don’t manage to cover your camera or hide within the areas it can’t see, the footage may not be helpful. The image might be too grainy to be of much use, or the criminal may have concealed any recognisable features. That said, a CCTV is still the best type of security you can get. After all, many break-ins are opportunity crimes. That means the criminals may scour or ‘case’ your neighbourhood looking for an easy target. Having a good CCTV in your yard may deter them and send them to another house. Plus, CCTV doesn’t work in isolation. You can combine it with other security options like keypad alarms, motion detectors, or even guard dogs. Not all CCTV units are the same. You want a good quality system. Here at Iron Curtain Security, we offer reliable camera brands with a 3 year warranty. The warranty covers repair and replacement, governed by our transparent, customer-friendly terms of service. We start with a free installation assessment to guide you on the best CCTV kit for your space. The angle of your CCTV system is the most important security factor to consider. After all, you could have the most hi-tech spy camera in the world, but if it’s facing the wrong direction, it’s useless. Make sure your cameras are pointed at entry ways. This isn’t just the door. Depending on how many cameras you have, point them at the windows too. You can also direct your cameras at vulnerable positions, like cat flaps, chimneys, alleyways, or anywhere thugs might try to sneak in. Our security advisers can recommend the right position for your camera during our free installation assessment. Once you know where to place them, you need to decide the type of camera you want, according to your budget. You already know how much you can spend, now focus on three main areas. One, camera resolution. Our 720 HD-Ready systems are more affordable, while our Full-HD 1080 cameras have more pixels and a higher price tag. They offer more clarity and deeper zooming ability when you’re reviewing footage. This makes it easier to identify captured images. There have been incidents where the CCTV didn’t have a recording system. The cameras were essentially hollow, and there was no device to store collected data. You won’t experience this problem with our systems. We also have additional features that let you access your CCTV feed remotely, using a mobile phone, or computer mounted off-site. Most break-ins happen at night, so you want your CCTV system to have superior ‘night vision.’ Our camera systems include infrared capabilities that start from 20 metres to 80 metres. Our installations assessors will advise you on the ideal range for your camera. The range is determined by things like the space outside the entryway, the size of the lot, and of course, your budget. For example, if your back door leads into a dead-end alley, you don’t need a wide range because there’s nothing to look at except a cornered wall. But if your front door opens into a parking lot or wooded area, you want to see as far as you can. Fortunately, infrared rays can’t be seen by the naked eye, so unless potential burglars have inside information, they won’t know that your cameras can spot them through the darkness. Select the right camera lens. Stationary cameras can offer views of 75 to 90 degrees, while zoom cameras have a narrower field. This helps you manage potential blind spots. Speak to Iron Curtain Security today to find out more about top rate CCTV security systems for your home or business. With the holidays fast approaching, many of us are taking time off to go on a trip, either to visit family members who live far away or to soak up the sun at one of South Africa’s most famous beaches and holiday destinations.